Interstate 27 has two active business routes. 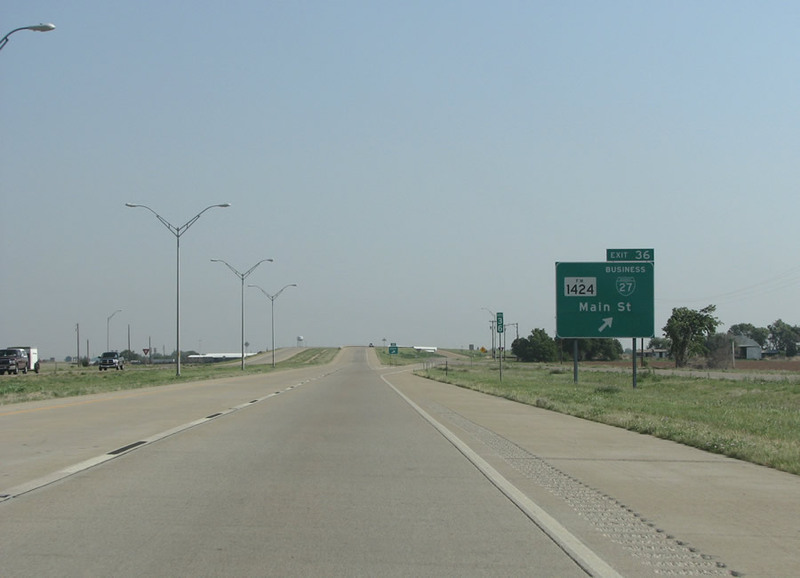 TxDOT assigned a suffixed to every Interstate Business Loop in the state. This distinguishes the various routes from one another in the Highway Designation File. 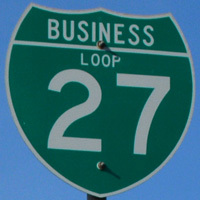 Business Loop 27T was designated on April 5, 2002 as a 1.168 mile route along Main Street through the city of Hale Center. 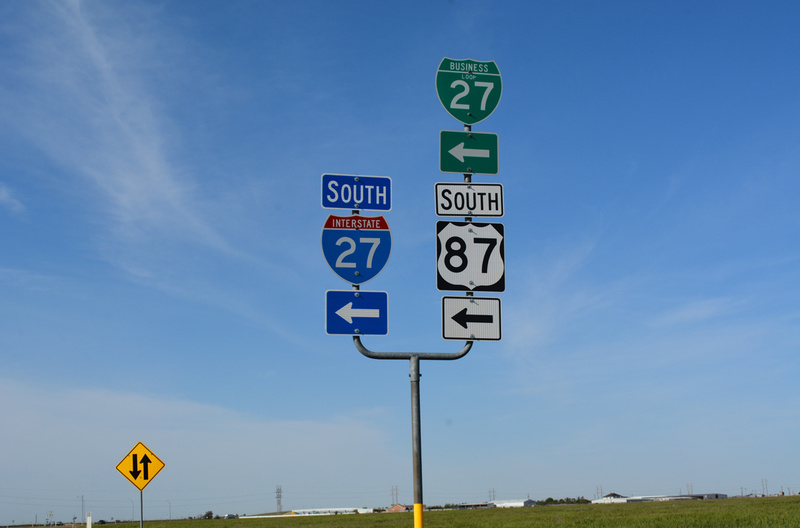 The route follows old U.S. 87, while the U.S. 87 mainline overlaps with IH 27 between Exits 36 and 38. Serving the Hale County seat of Plainview, Business Loop I-27U follows old U.S. 87 east from IH 27 between Exits 45 and 53. The TxDOT certified mileage for the route is 9.282. When U.S. 87 shifted to the freeway bypass west of the city, the former alignment was designated as U.S. 87 Business and then State Loop 445. Business Loop I-27 was established on January 14, 1991 in a mileage transfer from SL 445. Interstate 27 & U.S. 87 northbound at the Hale Center business loop. Photo taken 05/26/08. 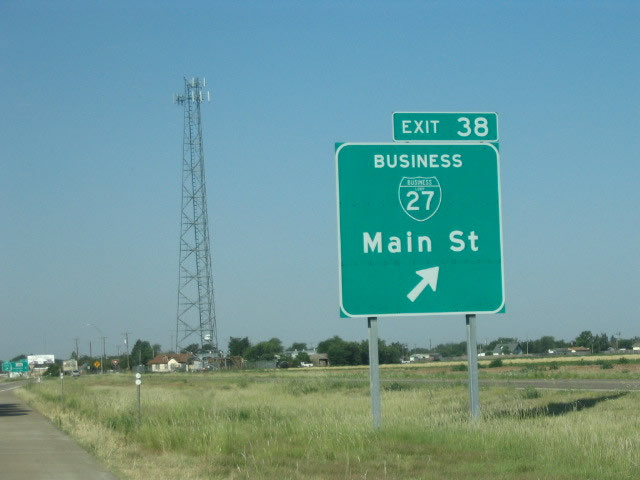 Business loops for IH 27 are signed at both ends from the freeway mainline. 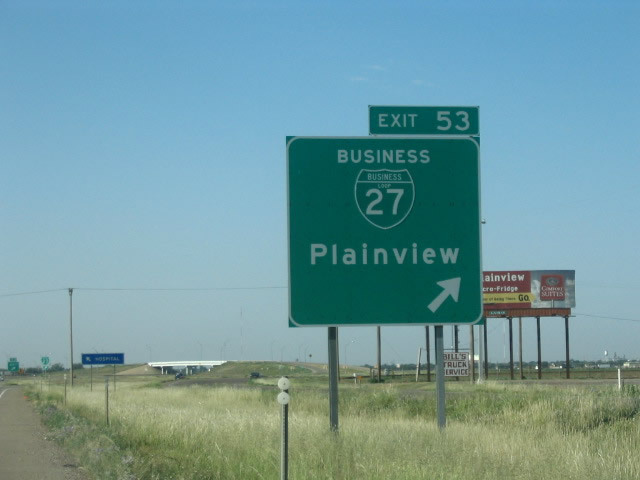 Business Loop I-27 leads due south from IH 27 via a trumpet interchange (Exit 53) as the freeway shifts west to bypass Plainview. Photo taken by Robert Lee (06/17/06). 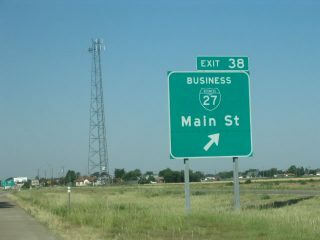 Exit 38 consists of a slip ramp onto the I-27 Service Road for Business Loop I-27 south to Main Street through Hale Center. Photo taken by Robert Lee (06/17/06).